Dropbox will shut down its Mailbox app on Feb. 26, and its photo management app Carousel on Mar. 31, the cloud storage service announced in a Monday blog post. The company will instead concentrate on "collaboration and simplifying the way people work together," including its beta Paper offering. Two features from Carousel —shared albums and space saving —will migrate back to Dropbox, and some ideas may also make their way over from Mailbox. Although Carousel has struggled to gain any traction, Mailbox was once an extremely popular iOS app, aided by an early waiting list scheme. Dropbox bought its original developer for an estimated $100 million in 2013. 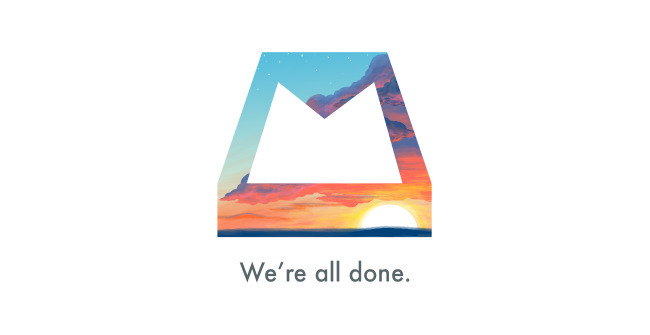 Even Mailbox was allowed to languish however, its last app update arriving in July. Co-creator Gentry Underwood has already left Dropbox, according to TechCrunch, and fellow co-founder Scott Cannon is only staying on for a short time longer as an advisor. In some ways the first popularizer of cloud storage, Dropbox has had to fight to stay relevant thanks to competition from Google Drive, Microsoft OneDrive, Box.net, and Apple iCloud. Dropbox's free tier offers just 2 gigabytes of storage by default, well below the 15 gigabytes offered by Google or Microsoft, or even Apple's 5 gigabytes.